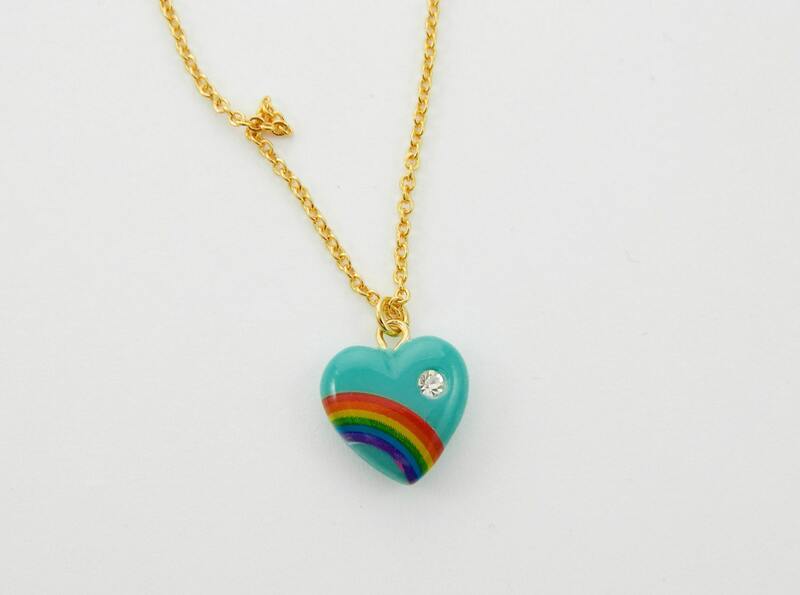 Vintage Acrylic Rainbow Heart Charm Necklace. Made from Vintage 70s Charm. 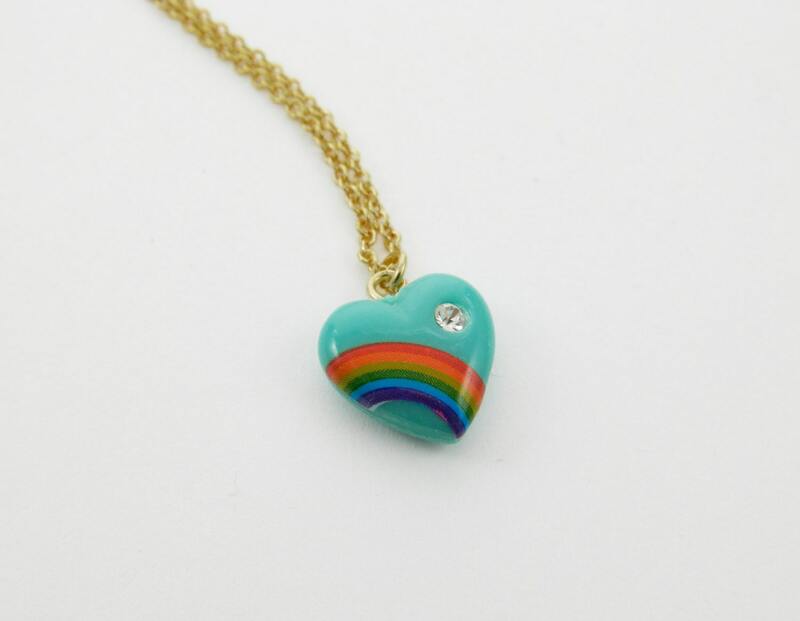 1970s Turquoise Rainbow Heart Charm with Crystal. 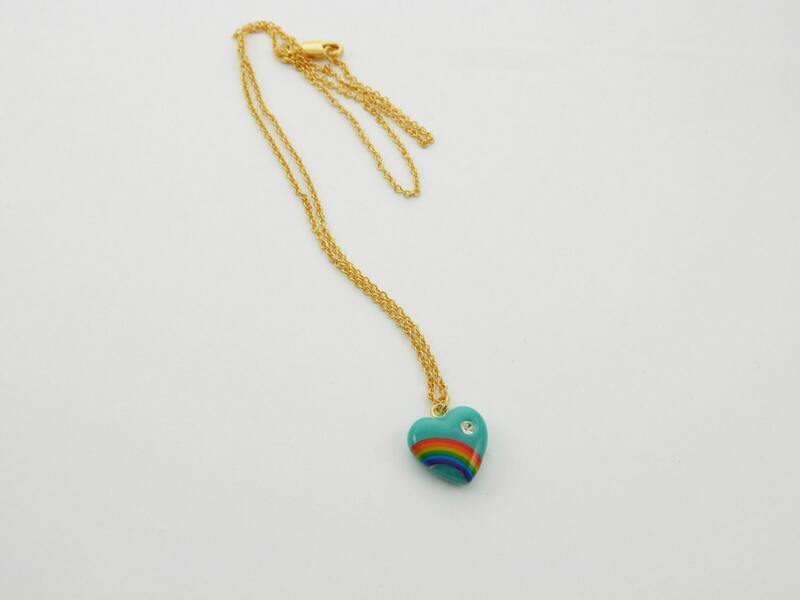 Rare Vintage Rainbow Heart Charm. Choose 14", 16" or 18” chain length.